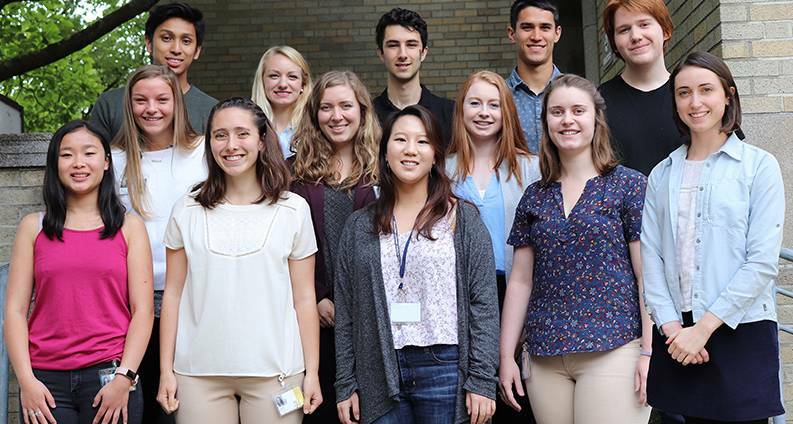 Welcome 2018 Summer Research Interns! Institute Director Steve Shea welcomes interns. 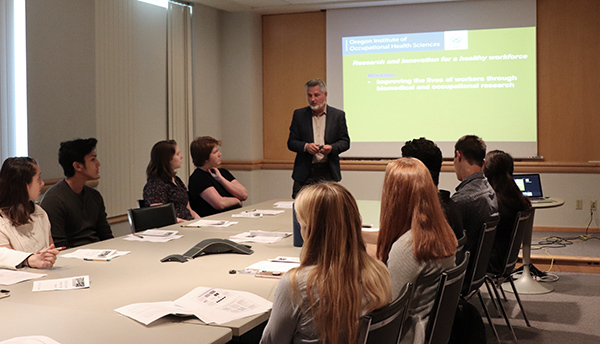 Occupational Health Sciences’ Summer Student Research Awards are three-month paid summer internships designed to introduce undergraduate students to biomedical and occupational health research. 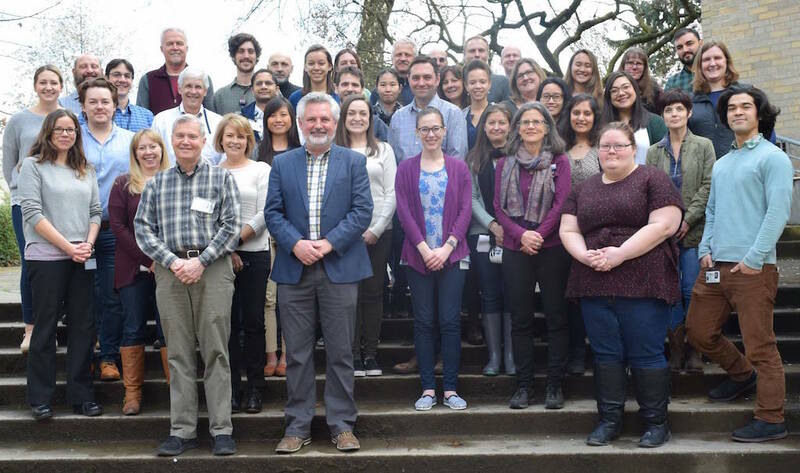 To be eligible for an Institute funded award, students must be Oregon residents or attend college in Oregon. Students at all undergraduate levels may apply. These internships provide unique research opportunities across a range of basic and applied research areas, culminating in the presenting of research in a final poster session.